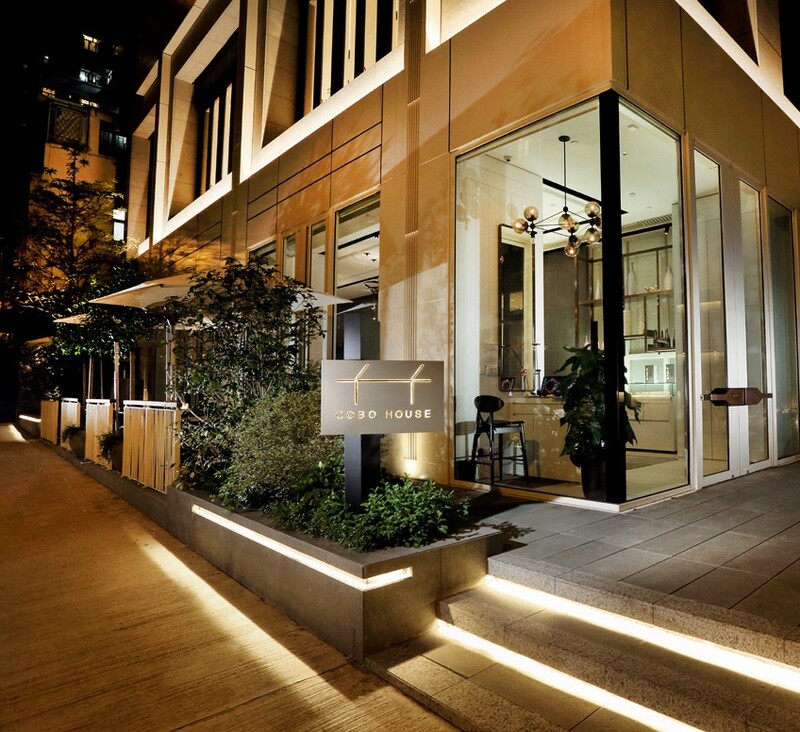 On the occasion of Art Basel in Hong Kong, international art gallery Hauser & Wirth and museum-retail pioneer K11 will co-present the Roth Bar & Grill pop-up kitchen at COBO HOUSE, a cultural hub for the creative community in the Shek Tong Tsui district of Hong Kong. The week-long collaboration will be open to the public from 25 to 31 March 2019. Roth Bar & Grill’s Hong Kong pop-up kitchen is inspired by the original Roth Bar & Grill restaurant located onsite at Hauser & Wirth Somerset, a pioneering world-class gallery and multi-purpose arts center on a working free-range farm in rural south west England. Roth Bar & Grill combines gastronomy with contemporary art and is a vibrant, informal and convivial eating-place, serving honest, simple and seasonal food with a focus on sustainability. The pop-up kitchen at COBO HOUSE will continue in this tradition, offering a range of dishes using fresh ingredients sourced locally from Hong Kong’s markets and suppliers – relocating Roth Bar & Grill’s renowned farm-to-table concept from Somerset to Hong Kong. 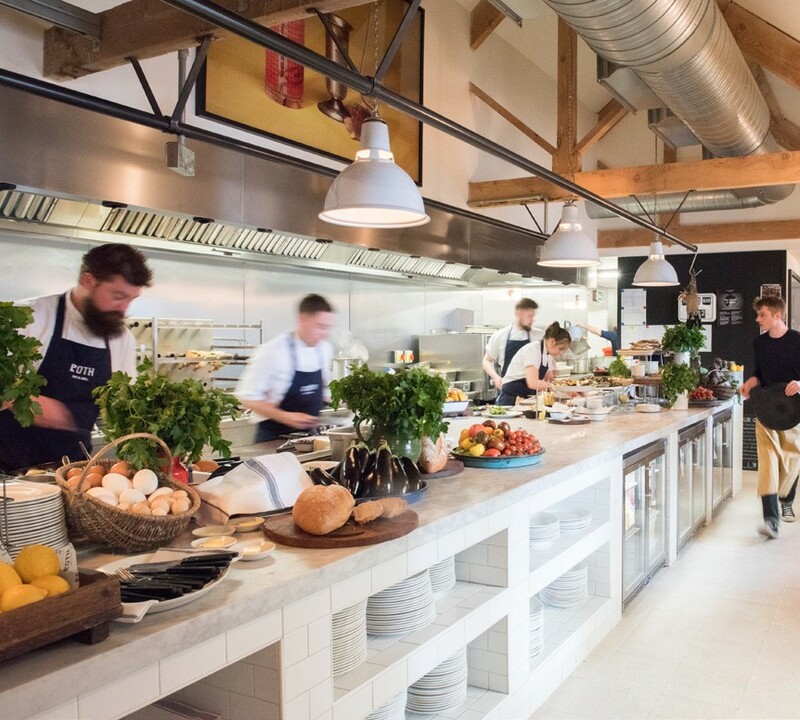 Steve and Jules Horrell, the husband-and-wife team behind the Somerset restaurant, will be in residence at COBO HOUSE for the week of 25 March. During the pop-up, the venue’s usual Korean-infused European dining concept will be enhanced by a bespoke menu and cocktails derived from the flavors of Somerset, including: Homemade merguez sausage, flatbread, yogurt, pomegranate; Pork Milanese, celeriac remoulade, green sauce; Apple croustade, Somerset Cider Brandy crème fraiche, and Somerset Pimms. Throughout the pop-up kitchen, visitors will find reference points that echo the experience of visiting Hauser & Wirth Somerset, reflecting its core belief in conservation, education and sustainability. COBO HOUSE’s walls will feature artwork installed salon-style, curated by K11 founder, Adrian Cheng and Hauser & Wirth President and Co-Founder Iwan Wirth to incorporate Hauser & Wirth artists alongside works from Adrian Cheng’s private collection – including paintings by Mark Bradford and Zhang Enli. This presentation is in homage to the original restaurant environment in Somerset, where the walls are adorned with an intimate and highly personal, salon-style array of works that intertwine with the themes of food, animals and the countryside. COBO HOUSE will also be transformed by flowers and foliage hung from the ceiling, in homage to the perennial meadow that sits behind the original farm buildings comprising the Hauser & Wirth Somerset galleries, designed by internationally-renowned landscape architect Piet Oudolf. The collaboration between Hauser & Wirth and K11 was borne from the shared vision of Iwan Wirth and Adrian Cheng – to cultivate an art-centric approach to life. Food comprises a pivotal element of the experience of Hauser & Wirth’s galleries, as it brings together a passion for art with an enthusiasm for hospitality, gastronomy, and, above all, community. Hauser & Wirth’s galleries in Somerset and Los Angeles both include integral restaurants conceived as social gathering spaces. Hong Kong-based Adrian Cheng introduced the world’s first museum-retail concept, K11 Art Mall, fusing together art and commerce. He continues influencing the world by setting game-changing standards in architecture, design, lifestyle, business and hospitality, such as the Victoria Dockside redevelopment project, a 3 million-square-foot art and design district that will redefine Hong Kong’s waterfront when it fully opens in Q3 2019. Hauser & Wirth was founded in 1992 in Zurich by Iwan Wirth, Manuela Wirth and Ursula Hauser, who were joined in 2000 by Partner and Vice President Marc Payot. A family business with a global outlook, Hauser & Wirth has expanded over the past 27 years to include outposts in Hong Kong, London, New York, Los Angeles, Somerset, Gstaad and St. Moritz. The gallery represents over 75 artists and estates who have been instrumental in shaping its identity over the past quarter century, and who are the inspiration for Hauser & Wirth’s diverse range of activities that engage with art, education, conservation and sustainability. Hauser & Wirth has built a reputation for its dedication to artists and support of visionary artistic projects worldwide. In addition to presenting a dynamic schedule of exhibitions, the gallery collaborates with renowned curators to realize museum quality surveys, and invests considerable resources in new scholarship and research. Since its earliest days, the gallery has forged an academically rigorous, ambitious program of historic exhibitions. Hauser & Wirth has extensive experience in estate management, and is the home of a number of major 20th-century European and American artist estates including Louise Bourgeois, Arshile Gorky Estate, The Estate of Philip Guston, The Eva Hesse Estate, Allan Kaprow Estate, Mike Kelley Foundation for the Arts, The Estate of Jason Rhoades, Dieter Roth Estate and The Estate of David Smith, among others. The exhibitions at Hauser & Wirth Hong Kong span the breadth of the gallery’s program from major 20th century modern masters to leading figures in contemporary art. From 26 March to 11 May 2019, Hauser & Wirth Kong Kong will present the first solo exhibition in the city of works by renowned French-American artist Louise Bourgeois (1911 – 2010). The exhibition is curated by Jerry Gorovoy, who worked closely with Bourgeois from the early 1980s until her death in 2010. The exhibition coincides with Bourgeois’s first large scale museum tour in China, The Eternal Thread, presented at the Long Museum, Shanghai, and the Song Art Museum, Beijing. Founded in 2008 by entrepreneur Adrian Cheng, K11 Group combines art and commerce in commercial and residential real estate, and a growing portfolio of brands across different sectors in Greater China and around the world. Marking its 10th anniversary, K11 Group announced its most ambitious Museum-Retail development K11 MUSEA in June 2018, situated at the heart of the new $2.6bn Victoria Dockside art and design district developed by parent company New World Group in Hong Kong, scheduled to fully open in 2019. In addition to its flagship K11 Art Malls, K11 Group also operates K11 Atelier, a network of office buildings for the next-generation workforce; luxury residences for worldly travellers K11 ARTUS; open education platform K11 Kulture Academy; the terrarium-inspired transformative retail concept K11 Natural; consulting and market research institution K11 Future Taskforce; and K11 Art Foundation, China’s first not- for-profit to incubate Chinese artists and curators. Through K11 Group, Adrian’s stated aim is to constantly innovate and ‘connect China’s cultural ecosystem and its emerging millennials and Generation Z with the world,’ creating a new global identity for Chinese millennials. By 2023 K11 Group will have gained a footprint in nine cities across Greater China. K11 was recognised by Fast Company as one of the most innovative companies in China in 2018, and honoured in 2019 as one of the most innovative companies and the only company from Asia in the global category for the Urban Development and Real Estate sector.